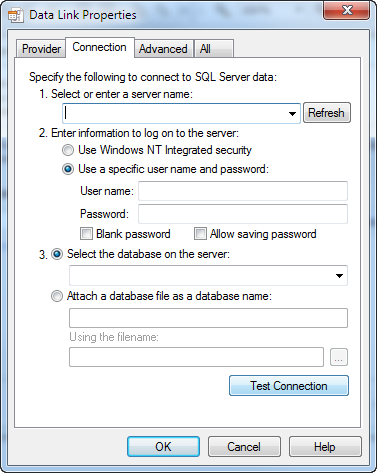 Sunset Reports offers several methods of connecting to SQL Server databases that makes it a good choice for creating reports. 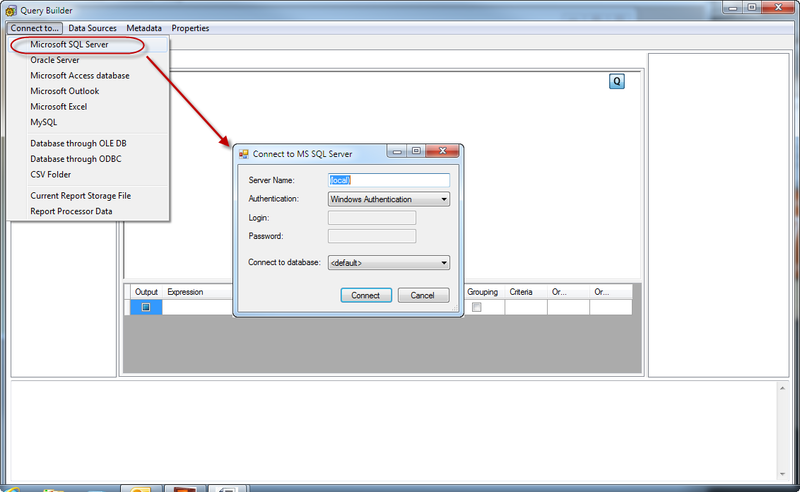 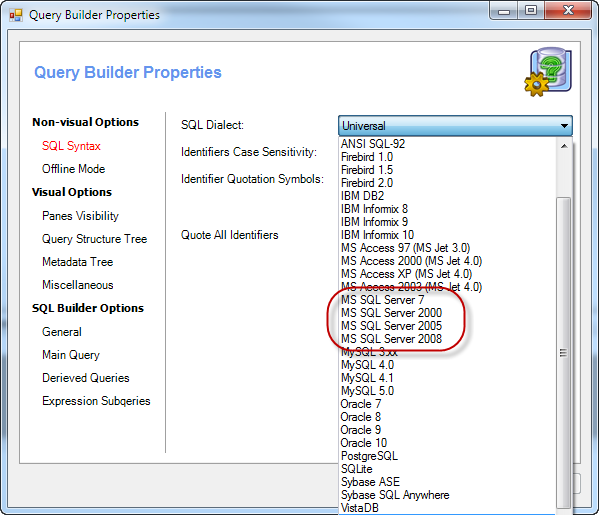 Using the built-in Query builder you can connect directly to a SQL Server database as shown in the next figure. 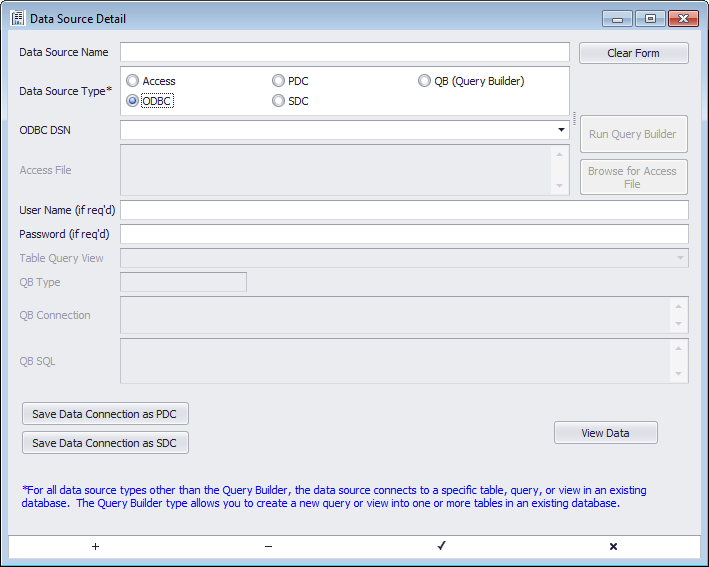 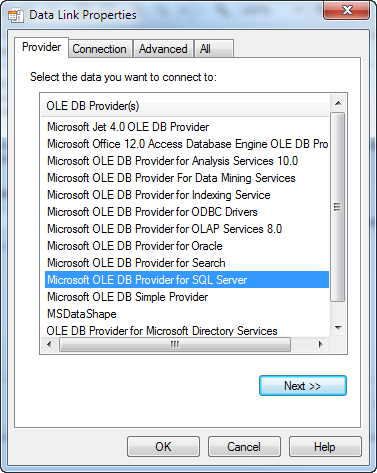 The Query Builder also supports SQL Dialects for different versions of SQL Server.